LOCATION!! LOCATION!! 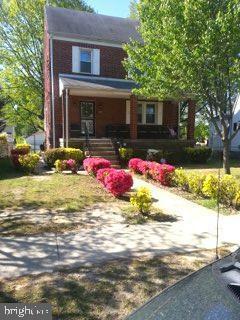 UPDATED BEAUTIFUL ALL BRICK 4 BEDROOM. JUST MINS FROM DOWNTOWN DC, AND 495!!! SELLER OPERATED AN "UP TO CODE, " FULL DAYCARE CENTER IN THE LARGE FULLY FINISHED BASEMENT. PERFECT FOR INCOME GENERATING PROPERTY. A MUST SEE FOR THE PRICE!! VERY WELL MAINTAINED WITH VERY LARGE FENCED IN YARD. THIS IS AN INCOME GENERATING PROPERTY WITH A FULL LICENSE DAYCARE IN THE BASEMENT!!! !